to help make your visit both a pleasant and rewarding experience. 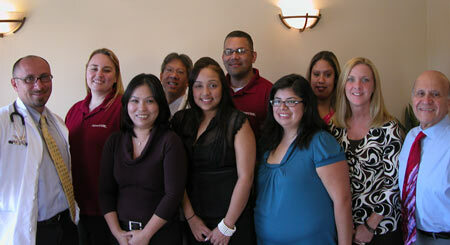 Dr. Wong, Stephanie, Abraham, Virdi, Yolanda, Venus and Doug. Doug Lucero is our Marketing Director and is responsible in helping to promote and develop both our private and industrial practice. He has been involved in medical marketing and sales for more than 15 years. 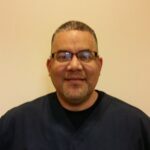 Mr. Lucero brings a broad array of expertise and experience to Newport Urgent Care, which has helped increase our awareness in the community. Viridiana Aguilar is one of our three front office employees at Newport Urgent Care, and has worked at the clinic since June 2005. She graduated with honors from Saddleback High School in 2004 and is bilingual in English and Spanish. “Virdi” is also our work comp coordinator. She is extremely organized, very friendly and always polite with everyone she meets. She has been a terrific addition to our staff.